A spacious and recently refurbished garden flat with wide gauge oak floors throughout and good a quality fully integrated kitchen / dining space which leads out to a wonderful 60' garden, laid to lawn and offering great peace and privacy. There are two double bedrooms with built-in wardrobes and a well proportioned reception room with fireplace and bay window. Situated at the northern end of the road towards the junction with Uxbridge Road, the flat is conveniently close to transport. Askew Road and a few minutes walk - as is Wendell Park and the local primary schools. Also the shopping and transport hubs of Hammersmith and Westfield are within easy reach; the 607 bus route east along Uxbridge Road provides the fastest access to the Circle and Central Line tube. Stamford Brook or Ravenscourt Park tubes are an approximate 10 to 15 minute walk. 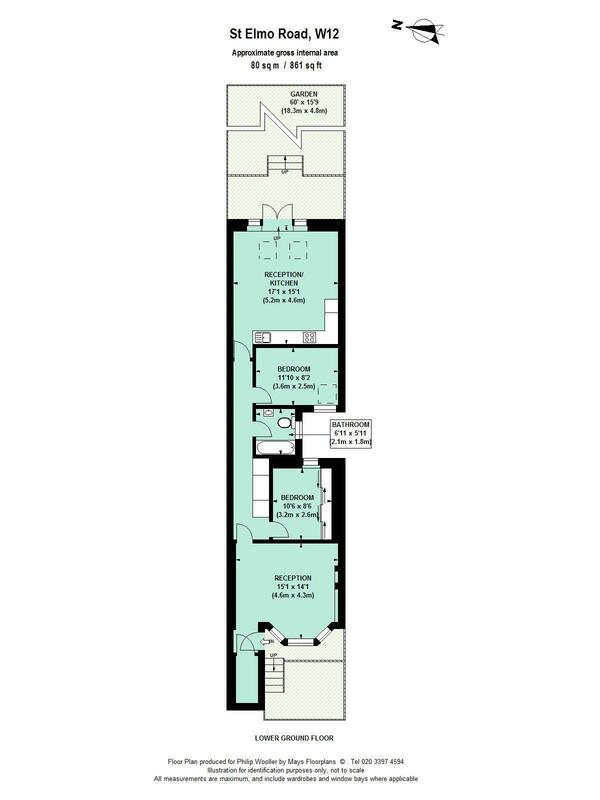 861 sq ft / 80 sq m approx.